Arguably the best golfer ever, Jack Nicklaus turned professional in 1961 at the age of 21. After winning the U.S. Amateur Championship in 1959 and 1961, he finished in second place at the 1960 U.S. Open. Arnold Palmer won the tournament with a two shot lead over Jack. Jack won an incredible 18 career major championships and numerous other tournament wins in his 25 year career. The golf superstar ascended to the top of the game and never looked back. A 'Tegata' is a traditional form of Japanese memorabilia that is reserved for only the most supreme athletes. Utilizing handmade Japanese Hamada paper, Jack has inked his right hand in black and included an authentic Inkan stamp which aligns with the traditional craft. 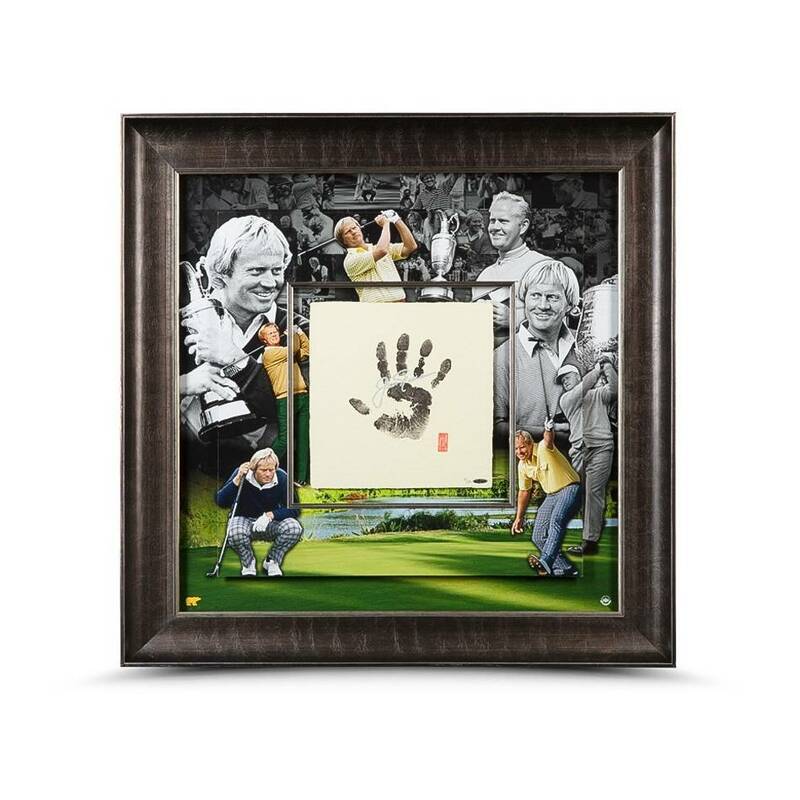 The overall keepsake, which measures 36" wide by 36" high, includes a 9.5" by 10.5" inset center upon which Nicklaus' hand has inked and is surrounded by iconic images from Jack's career. Jack performed the Tegata process with Upper Deck Authenticated officials and his autograph is guaranteed by virtue of Upper Deck's Five-Step Authentication Process.